We’re now firmly into that time of year where people start panicking about what they should be buying for their loved ones, and Apple will no doubt be hoping that at least one of those gifts has a perfectly crafted Apple logo on the back. 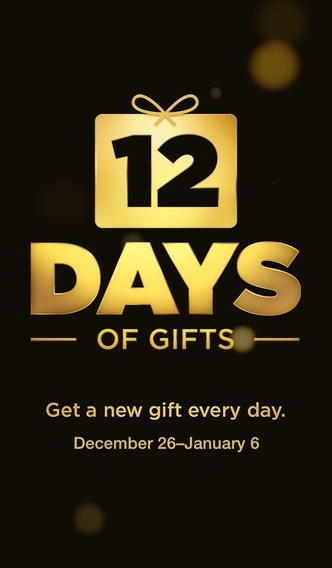 Already preparing for the raft of new iPhone, iPad and iPod touch owners that will no doubt be scurrying towards the App Store come December 25th, Apple’s has made its ’12 Days of Gifts’ app available on the App Store – a full two weeks early. Traditionally, the twelve days days of Christmas begin on Christmas day, and that’s exactly when Apple will flick the switch on its app, even though it can be downloaded from the App Store today. In fact, it’s worth noting at this point that while the app has historically only been available outside the United States, those packing US-based iTunes accounts can now also get in on the free stuff action, which is nice for you all. 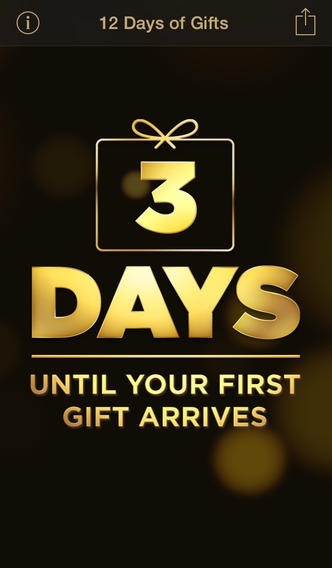 The freebies will range from video content and audio tracks to apps depending on the day in question, and each gift will be available for 24 hours only, so if you want to make sure you’re up-to-date on your free stuff, you’ll want to check the app every day. Once you’ve downloaded the item in question though, you’ll be able to download it for free whenever you want. As if to truly drive a dagger through the heart of iOS 5 and 6, Apple has also made the app an iOS 7-only affair, meaning those still holding out (why would you!?) will have to either update, or miss out. Given past experiences though, the chances are they won’t be missing out on too much – we seem to remember the odd app download from years past, and that’s about it. Still, we’re not big iTunes music fans so maybe we’re not the best yardstick. 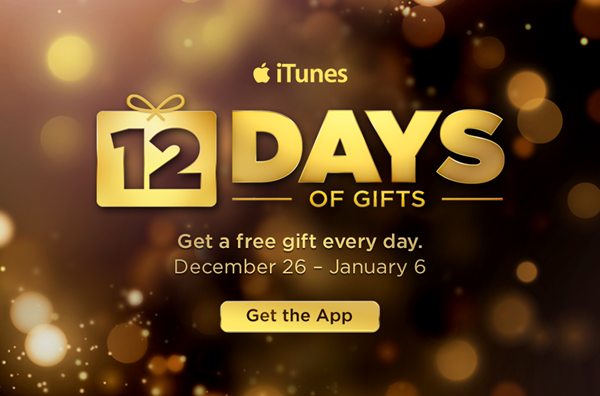 Go and download the ’12 Days of Gifts’ app from the App Store now, and get ready for the Christmas cheer to take over. Or something.